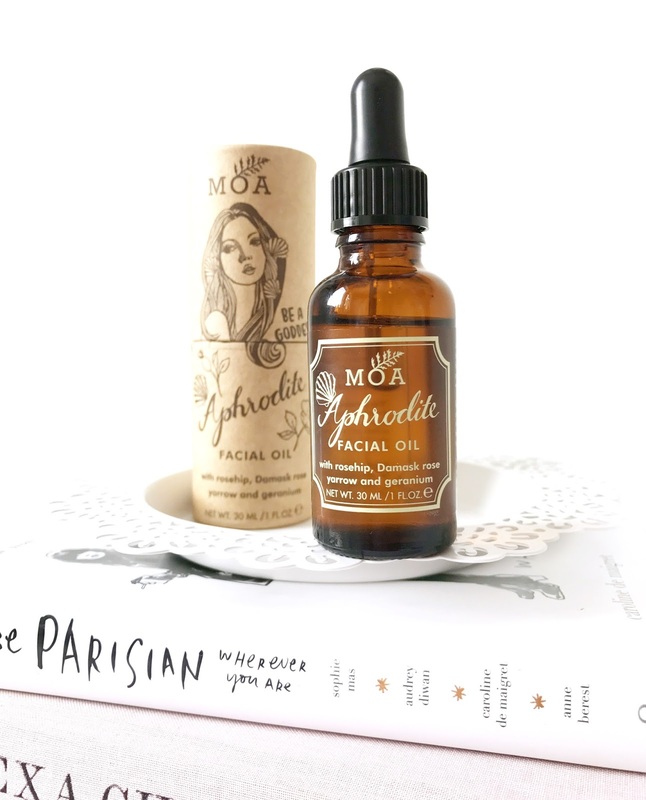 Magic Organic Apothecary (MOA) is a herbal skincare brand which I had been dying to try since I first spotted the Aphrodite facial oil in reviews of the March Blogger Beauty Box last year. I was instantly drawn to the beautiful packaging and the delicate product names, so I was absolutely thrilled when MOA sent me a box full of goodies to try for myself last month. Inside the box was the Fortifying Green Bath Potion*, the Daily Cleansing Ritual* set, which includes award winning The Green Balm*, and of course the beautiful Aphrodite Facial Oil*. 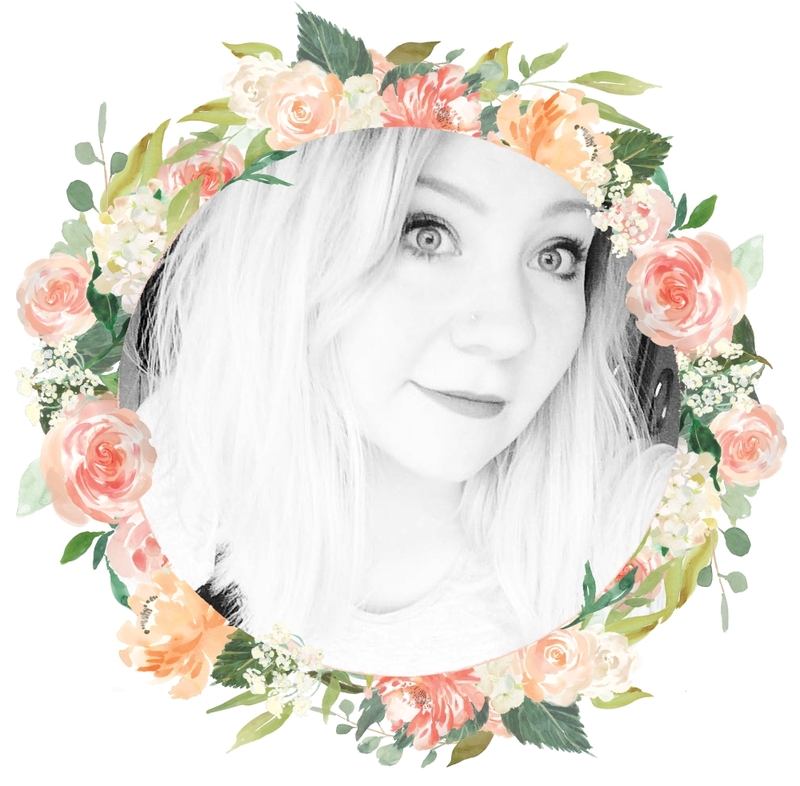 This review will however be focused solely on the Aphrodite oil, as all the products are far too amazing to just be in one post! Starting with the packaging, it's almost unreal how delicate and pretty this facial oil is. The outer packaging is made from recycled cardboard and the hand drawn designs are printed with vegetable and soya based inks. The bottle itself is made from UK sourced glass in order to be easily recycled after use. I honestly love how every single part of MOA products are as organic and environmentally friendly as possible and how their products and designs are inspired by folklore. It really puts the 'magic' in MOA. The main ingredients in the Aphrodite facial oil are yarrow, MOA's 'hero herb', vitamin A and C rich rosehip oil, Damask rose essential oil and marshmallow extract. It's truly the sweetest cocktail of girly scents and traditional beauty oils. Legend has it that you can find your true love by putting yarrow under your pillow to dream of your soul mate. Whether that's true or not, yarrow has been used for centuries to heal and repair, and is exactly what I need for my dry, dull skin. To use this facial oil, the packaging urges you to massage several drops onto the face and neck after your daily cleansing ritual, in the morning and just before bedtime. I usually use four to five drops and warm them in my hands a little before applying it all over my face. Any excess I then rub over the back of my hands to keep them soft and scented. The oil absorbs onto my face almost instantly, leaving it very soft and supple and primed for moisturiser application. I noticed that after a few days of using the oil morning and night my skintone looked balanced and the majority of my redness had been calmed. I have very dry skin where my nose stud is, and this oil really nourishes and hydrates the skin, reducing the flaking and giving a gentle plumping effect. The rest of my skin is often very oily, however this facial oil freshens it and leaves me truly glowing, without any greasiness. The Aphrodite facial oil retails at £20 per bottle, however this is an amazing price for the quality and the amount of oil that you get. The photos for this post were taken after a month of using the oil at least once a day, so you can see how a little bottle lasts such a long time. I already know that I will be purchasing more bottles once this one eventually runs out (I think it will be in about 6 months), but that seems a good while away yet! Have you tried any MOA products? What's your opinion on facial oils? Products marked with an asterisk (*) were gifted to me by the lovely Laura at Magic Organic Apothecary. This does not affect my opinion on the products and all views are strictly my own. The packaging is really stunning, love the fonts etc. The oil itself sounds dreamy, I love products that sink straight into my skin and actually make a difference!